Looking for a Christmas card that lasts longer than the average? Give this unique bone china one instead! 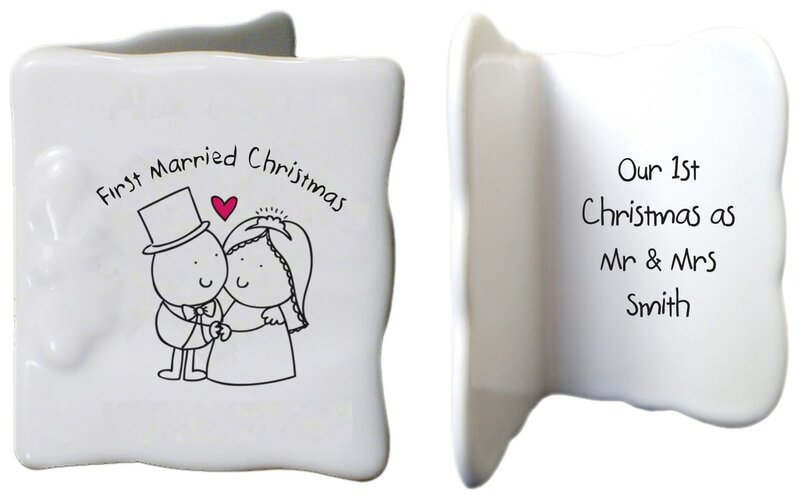 Our Chilli and Bubbles couple adorns the front of this first Married Christmas mini message card, and your sentiment is expertly printed onto the inside, making this a lasting keepsake that will long outlive the day itself and be treasured long into their marriage.